We make the data business easy and safe. Different people call PowerMyData different things. We refer to it as a personal monetization platform because our priority is empowering consumers. However, business clients often call it a cooperative marketing service, and Nonprofits an engine for giving. Regardless of how you call it, it helps to understand how it basically functions. The above diagram shows the basic process for value creation and the below sections provide more insights. 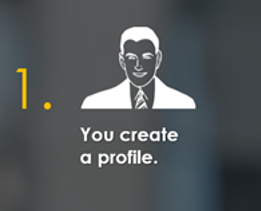 Once you have signed into the service, you create a profile. Your profile only contains the data you wish to share with the marketplace. The more data you provide, the more money you make and the more discounts you will receive based on your data. 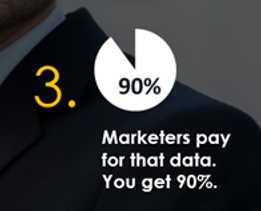 Poor data results in offers and discounts that are of little value to you. 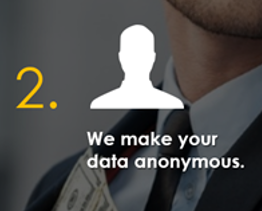 Even before you create a profile, we make you anonymous. Your identity is separate from all the attributed data in the profile. This isolation of data from identity assures you that your privacy is guaranteed even from our own employees. High encryption secures all the data. If you include web history in your profile, then any company can purchase data to understand the nature of persons vising a web site, or understand the demographics of a particular area, or understand the details of a community with a shared attribute. When your data is sold you make your prorated share. Using your anonymous profile data, vendors can send offers you want. They can use demographics, behavior, keywords, and a registry of desired items to fine tune their offers. 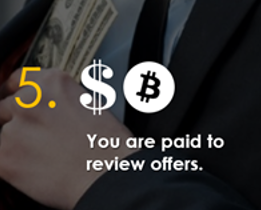 You're paid to evaluate these offers based on how much the vendor is willing to bid for your consideration. 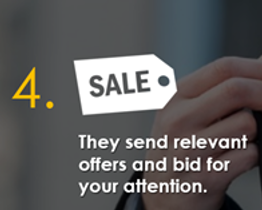 Using your anonymous profile data marketers can send offers to your smart inbox that prioritizes those offers. Your paid to evaluate offers based on how much the vendor is willing to bid for your consideration. Our Smart inbox evaluates every offer and prioritizes its display based on what you want. You save money if the offer is a discount or coupon. It is kind of like having a highly personalized coupon cutting service. You do not have to spend time hunting for deals - they find you. What is described above is a core service of PowerMyData, but we're not finished. The underlying technology of PowerMyData's platform allows us to enhance our service, and introduce new services to make you more, save you more, and create a brighter future for all of us. Remember that to maximize your value we highly suggest you get a bitcoin wallet! 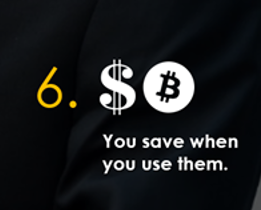 With bitcoin you keep more of what you earn and get the money faster.